Women tend to shy away from lifting weights. Perhaps it’s because they are afraid to ‘get bulky,’ or maybe they don’t want to hang with those big, grunting guys in the free weights area. Resistance training is more effective for fat loss than cardio alone – Lifting weights burns more calories than cardiovascular exercise, and we continue to burn calories after the fact in our body’s effort to repair and rebuild muscle. More Muscle Burns More Calories – Lean muscle mass burns calories throughout our normal day. The more muscle mass we have, the more calories we will burn without even trying! Gain Strength – OBVIOUSLY. But really, think of how many regular daily activities would be easier if we have more strength? That means more independence when we need to get something done that involves heavy lifting, and we are less apt to get injured doing said task. Even better – women can gain that strength without gaining the bulk they may not want. Without the loads of testosterone that men have, women don’t normally tend to bulk up. Instead, look forward to some nice definition! Another bonus – stronger joints and connective tissue! Heart Health and Reduced Risk of Diabetes – This benefit could be considered a twofer, but the conditions associated with heart disease and diabetes are so closely related, we really can’t separate them for the purposes of this post. A study in the Journal of Strength and Conditioning found that people who lift weights are less likely to have metabolic syndrome (high cholesterol and triglycerides, large waist circumference, high blood sugar and high blood pressure) and therefore less likely to have serious heart conditions or type 2 diabetes. Stress Relief – This benefit really applies to every kind of exercise…but there’s something about lifting heavy weights that really shows that stress who’s boss! Instead of crushing a bag of chips while you stress-eat, crush some dumbbell curls! Self Confidence – In a world where women are constantly told we can’t do something because we’re too weak or too you name it – it’s time to prove those naysayers wrong! Free weights and the pull-up bar are NOT off limits to women! Set your goals high and get to it! 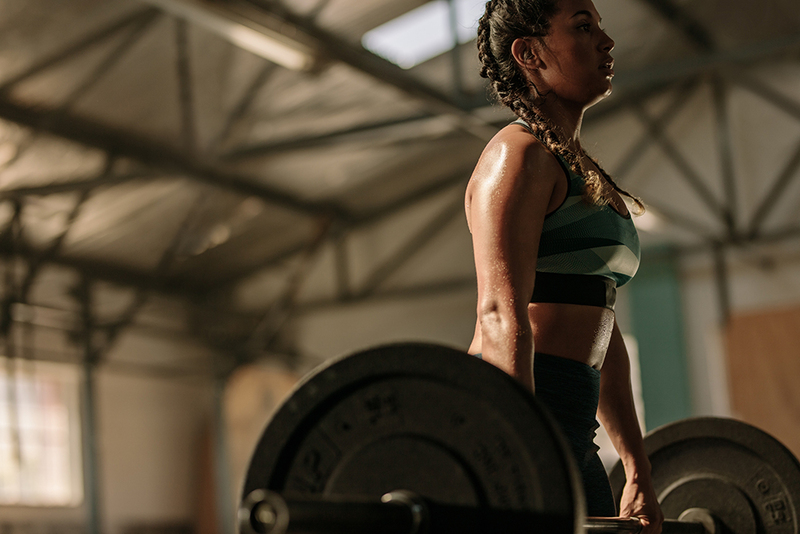 Want even more reasons why women would benefit from lifting? Read on!